The 6-day Phoenix Retreat is designed to catalyse you into a new level of awareness, enabling you to assume responsibility for and commitment to living your life in alignment with your deepest purpose. It is also a gateway for those who wish to take part in our Apprenticeship Programme. As we develop, life provides us with the perfect challenges through which we can evolve. On the Phoenix Retreat, we work with what we call the ‘creation story’ you have inherited and lived from, whose characters we call ‘understudies’. In the theatre, an understudy is a person who learns another’s role in order to be able to act as a replacement. On the stage of life, these understudies often take to performing nearly all the time, while the real stars wait hidden in the wings. They shouldn’t be blamed for this; they came into being with the intention of protecting your essence. However, without your attention, they will continue their performances for your entire lifetime, even if it no longer serves your deeper interests. During the retreat, the practice of Movement Medicine helps in developing the self-acceptance and clear intention necessary to create the conditions in which the understudies can become visible. Once they are illuminated, you can compassionately and with gratitude, invite each one to step aside and make way for your essential self. What is revealed through this process, and how you integrate and embody that, is the work of the Phoenix Retreat. 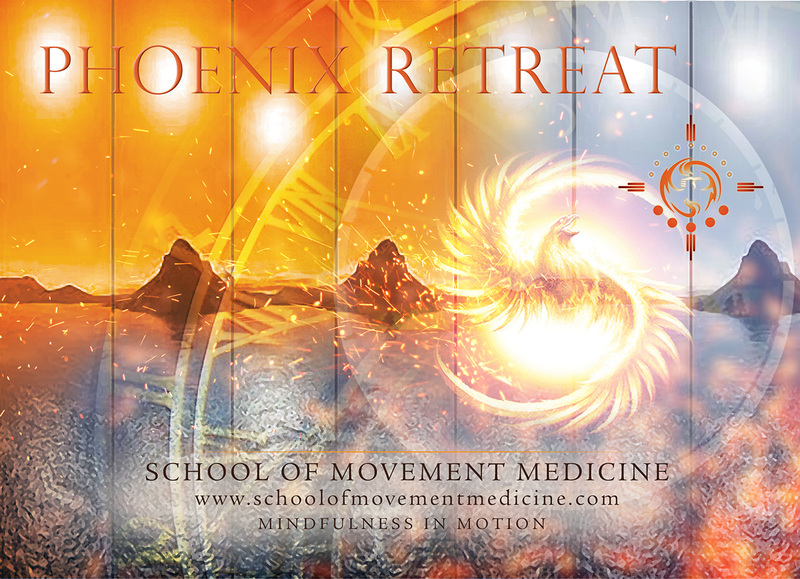 PREREQUISITES: To participate in the Phoenix Retreat, you need to have completed 25 hours of Movement Medicine or other related practice (5Rhythms, Open Floor, Soul Motion, etc). You also need to have the inner and outer resources and support that mean you can engage with this intense personal work in a responsible way. If you are unsure whether you meet the prerequisites, please enquire. from 550 PLN (dormitory palcement). Upgrades possible. All prices are in Polish Zloty and must be payed in Polish Zloty. All info about accomodation upgrades and food will be sent to you after your application has been accepted. You can download the PHOENINX RETREAT 2019 – Application form here.